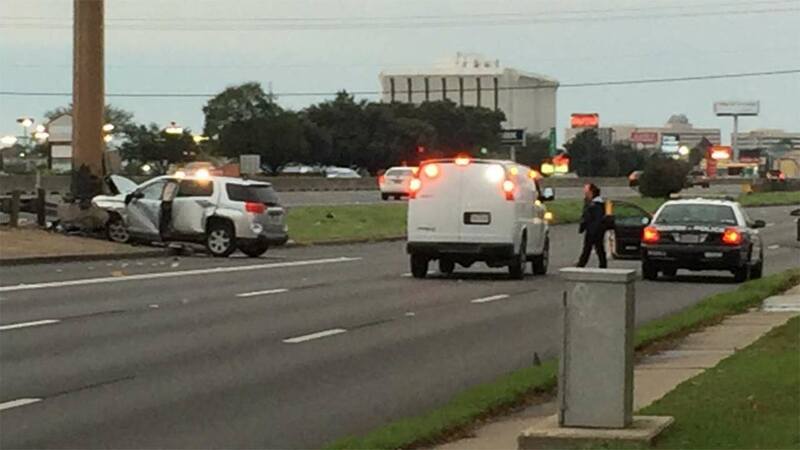 HOUSTON (KTRK) -- A single vehicle crash has killed one person, in an early New Year's accident. The accident occurred on the outbound lanes of the Southwest Freeway feeder road at the Bellaire exit at about 5:30am. Police at the scene say a woman was driving erratically on the feeder road when she crossed over a median, struck a metal sign, then lost control and slammed head-on into a light pole. The driver, who was the only person in the vehicle, died at the scene. She has only been identified as a Hispanic woman, between 50 and 60 years of age. Police say witnesses tell them the woman was driving at a high rate of speed. The accident is the first traffic fatality of 2016 in Houston.